Only a short 20 minute boat ride from the city of Veracruz, you will encounter a beautiful underwater world filled with coral reefs, colorful tropical fish, turtles, shellfish, and over 350 old sunken ships. Welcome to the Veracruz Coral Reef System National Park. This closely protected Mexican national underwater park consists of 23 coral refs spread out up and down the Veracruz coastline. This is a snorkeler’s and scuba diver’s hidden paradise. 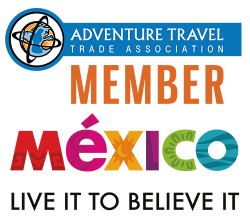 Trip starts at a local dive shop in the city of Veracruz where you will be fitted for your snorkel or SCUBA equipment (for certified divers). From there, you will walk about 100 yards to the dive boat which is waiting to take you to the reefs. This will be a 2 tank dive for certified SCUBA divers and snorkelers will explore in a more shallow area to better enjoy the reefs. On most trips, you will get to experience two different areas of this huge underwater park. Snacks and cold drinks will also be provided on board for you. Afterwards, you can shower and change clothes back at the dive shop. Note: In order to make this trip go, there needs to be a minimum of 6 people. 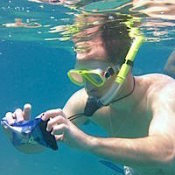 You will be going on the boat with other snorkelers and scuba divers. If you have a group of less than 6, it is recommended that you make a reservation for a weekend date as more people usually sign on for this trip on a Saturday or Sunday. The boat can hold up to 12 people. If you would like to go on a weekday, please contact us and we will check for availability. Note: For your protection, your tour guide will have a basic first aid kit for any unforeseen minor bumps & scrapes. He or she will also have emergency phone numbers for local medical facilities. We've been snorkeling over coral reefs off the coast in Veracruz and it's been absolutely beautiful here. I would recommend to anyone to come to Veracruz.